Kitty, a former international flight attendant, started to practice Yoga after being introduced to Ashtanga yoga by friends. She has attended classes and workshops in Japan and overseas, which had a great influence on her and lead to her decision to become a Yoga translator as well as a Yoga instructor. Kitty looks at Yoga as an essential part of her life and she continues to strive to deepen her experience and knowledge. Kitty incorporates the essence of Yoga into her daily life and appreciates the little things that bring happiness to everyday life, while maintaining the balance between her work and being the mother of two young children. I was introduced to Kitty (Hiromi) Thompson by a colleague of mine who highly recommended Kitty and knew that she would be a perfect fit for the yoga workshops that I teach. We met briefly before she helped me translate/interpret and from that first meeting we hit it off. Her translating/interpreting was efficient, clear and I could tell that the students understood what I was saying by how they were participating/practicing yoga in the workshop. Kitty is very personable and easy going and I look forward to working with her again in my upcoming workshops in 2016! Kitty / Hiromi Thompson has an amazing command for the English Language. Not only is she a pleasure to connect with personally she is professional and provides a superior service to many other translators I have worked with. 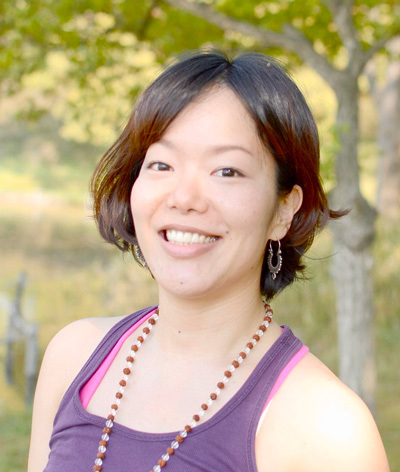 graduate of sakura yoga translation training / currently in charge of yoga anatomy English class at sakura yoga	Maya has been teaching Yoga for over 10years. She also had a career as dance instructor and with great interests to help people in developing countries she joined an overseas volunteering project in 2002 and had been working in Tunisa until 2005. It allowed her to have a great experience to be involve with children through dance activity and to see the world in many different ways. 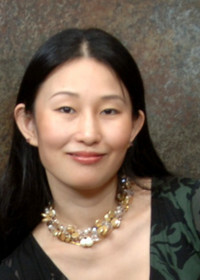 Has been a student of Cyndi Lee at NY OM yoga Center from 2008 and has been assisting and translate for	Cyndi. Also she has been attending many yoga trainings and workshops to deepen her understanding of yoga. Based on her knowledge of anatomy, she focuses on the teaching which uses the body intelligently with correct and precise allignment. Her teachings are always down-to-earth. After coming back to Japan Maya restarted her career as a Yoga teacher and became a Yoga translator as well. She feels more than happy to be able to be a bridge between amazing group of students and great teachers who share their knowledge and love of Yoga. Alliance 200 hr TTC. In 2009, Shoko participated in the sakura yoga translation course after which she began translating professionally. Shoko’s translation experience covers a broad spectrum and a wide variety of yoga styles such as Ashtanga, Iyengar, vinyasa, etc. She is also experienced with anatomy and has skillfully translated several complex and intensive anatomy workshops. Shoko is a very proficient translator and is well received by both teachers and students alike. 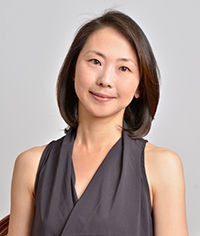 Yuko Altwasser has been with sakura yoga since 2007 when she became involved in translation under the guidance of	Hitomi, who is the founder of the group. She is a regular translator at yoga schools in Japan working with well known Yogis such as Sarah Powers and Cathy Louise. She is also a regular translator for Yoga Journal's	Japan edition. She is a dedicated yoga/meditation practitioner. Anu has been working with sakura yoga since 2008. She strives for the success of clients' workshops and training by delivering not only the contents but also yoga teachers personality and their messages to the students, and the students' expectations and impressions to the teachers. Akiko spent her childhood in the USA and Belgium for 6 years	(then returned to high school in Japan). During college, she worked as an interpreter for several events outside of school where she continued to use her English language skills. She had worked for a US consulting firm after graduating university. She continues to be involved in the international arena, volunteering as an interpreter. It did not take her long to appreciate the benefits of yoga soon after she started practicing asana. The connection with her body, mind and heart through the practice easily became a part of her life. She had jumped into teacher training to better understand the teachings of yoga. She has found the joy of teaching yoga and share her experiences and the beautiful	teachings of yoga with her students. She had pursued her studies in English through the yoga interpreter course, so that she is able to share the many international teachers who come and offer their teachings with the Japanese students. It would be her honor to be the voice in Japanese that many wonderful teachers who otherwise may not be able to touch more freely. Yuko was raised in Chigasaki, a coastal town, and now lives in Tokyo with her British husband, their son and Border collie. While working at a large international company as a corporate planner and purchaser, she considered herself a ‘conventional’ thinker placing priority on her day to day requirements and needs. Things soon changed when she developed acute lower back pain in the month prior to giving birth, which made her realize there was more to life, and that she needed to focus on her physical and mental health too. That painful life-changing event started her journey in search of an ‘easy body, easy mind’ lifestyle, realized through yoga. Her thinking is that if you are saying to yourself “I should do this, I shouldn’t do that”, or “It’s not enough, I need more”, then perhaps you may consider letting go of those thoughts, take time for yourself, and accept who you are!